Is Your Contact Center Taking Advantage of the Customer Data You Collect? Executives want to build business strategies founded on the wants, needs and hopes of their customers, yet most are overlooking the treasure trove of voice of the customer (VoC) data that pours into the contact center every day. 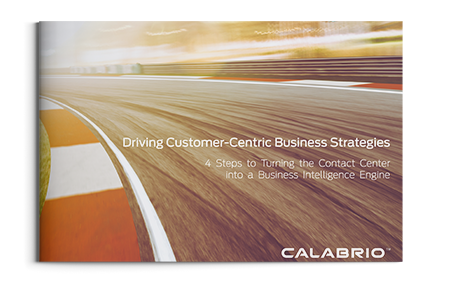 This increasing need for businesses to be customer-centric opens the door for contact center leaders to transform their role and value in the organization. Download the ebook to learn more about how you can leverage the VoC data the contact center collects every day to become a valued resource in your organization.